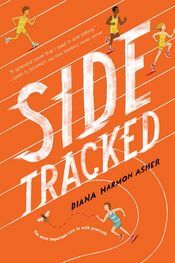 Diana Harmon Asher is the author of Sidetracked (Amulet Books), a Summer/Fall 2017 Indies Introduce debut for middle-grade readers and an Autumn 2017 Kids’ Indie Next List pick. Asher is a graduate of Yale University and lives in Scarsdale, New York, with her family. Here, Asher and Shallenberger discuss the inspiration for the author’s characters and her current work to bring books and creative writing experiences to kids. Dave Shallenberger: Nothing is going right for Joseph, the protagonist in Sidetracked, until one teacher inspires and pushes him. Did you have a teacher like that? 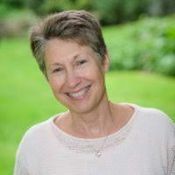 Diana Harmon Asher: When I wrote the acknowledgments for Sidetracked, I realized that the first people I had to thank were my favorite teachers — from elementary school all the way through college. They were kind, creative, and supportive. In fact, I sent my first and fifth grade teachers an early reading copy of the book, and it was an incredible experience to reconnect with them. That said, my needs were very different from Joseph’s. Unlike Joseph, academics and school life came easily to me. The teacher who encourages Joseph — Mrs. T — was actually inspired by one of my son’s wonderful resource room teachers, Nancy Tannenbaum. She was quite a character — loving, talented, and feisty. She understood kids like Joseph. They were “her” kids and she would fight for them like a mother tiger protecting her cubs. Sadly, she passed away a few years ago, but her students and their parents will never forget her. I think she would have recognized parts of herself in Sidetracked’s Mrs. T, and I hope she would have loved her as much as I do. DS: I’m guessing that writing middle-grade novels was not your first job out of college. What inspired and pushed you to write Sidetracked and to see it through to publication? DHA: Good detective work. Yes, it was many years ago that I set out to conquer the world with my fancy Ivy League degree. An employment agency brought me down to earth soon enough, plunking me down for a typing test (I know, I’m dating myself), and got me an interview at Doubleday & Co. I worked there in subsidiary rights, and then I became a story editor at Columbia Pictures in New York. When I had my first son, I left my full-time job (and Paul Newman, down the hall!) and decided I’d have a new career as a writer in no time. Three sons, four manuscripts, and countless rejections later, I started on Sidetracked. What kept me going? For one thing, many of those rejections were, in an odd way, complimentary. I got a lot of, “You’re a strong writer, but…” If they had said, “Please hang it up, this is terrible,” I might have listened and quit. Another important factor was participating in writers’ workshops. I took many wonderful classes at Sarah Lawrence College in Bronxville, then closed in on two exceptional writers who were also working on children’s books, and we formed our own little group. Every time I made someone in one of those workshops laugh, sniffle, or just listen, it convinced me not to give up. Their encouragement kept me going and, maybe more importantly, their criticisms made me a better writer. I can’t say that when I began Sidetracked I knew it had a better subject, voice, or characters than my previous tries. I’ve loved all of them. But something about Sidetracked just clicked. It struck a chord with my agent, Nicole James, and my editor, Erica Finkel, and both have been behind Joseph, Heather, and me ever since. DS: One of my favorite aspects of Sidetracked was Joseph’s voice; it felt very authentic. What was your process for capturing a seventh-grade boy’s inner thoughts so effectively? DHA: One of my writing workshop buddies recently pointed out how much I’m like Joseph. I don’t have ADD, I’m not a seventh-grade boy, and I didn’t really have trouble making friends. But I do worry a lot and I guess I observe things in a very particular way. When Charlie’s football cleat lands on a bee, for instance, Joseph’s reaction is exactly how I would react. Poor bee! Is it squashed? Is it trapped? Can I save it? Please, let it be okay. I guess I just extended that thinking through the lens of Joseph’s personality — the insecurities, the anxieties, the confusion of not quite catching on to social signals. I’m also the mother of three sons, and I’ve tried to be around and involved, and to listen a lot. So in an odd way, I felt right at home in the hallways and sports fields of middle school. DS: You also work at the Children’s Village and at Blythedale Children’s Hospital in New York. Can you discuss some of what your jobs entail? DHA: I’ve volunteered at the Children’s Village in Dobbs Ferry for many years. The Children’s Village is a therapeutic residential environment for kids who have been removed from their homes for various reasons. Many of these boys have never had a stable home, or a parent who read them a story. There’s a group of terrific people who bring books into these boys’ lives. My small contribution was tutoring teens who were reading well below grade level, and helping to run a library program where the younger children could hear a story and borrow books. It’s a difficult environment, but knowing how fortunate my own kids are, I wanted to help introduce stories and reading to kids who aren’t as lucky. Blythedale Hospital has a school that serves kids with chronic conditions, as well as students who are enrolled temporarily because of accidents or surgeries. Some are dealing with traumatic brain injury, some need scribes or technology to help them, some just need encouragement, but all have stories to tell. I work through an organization called Spoken Interludes to lead eight-week writing workshops. We use examples of great writing to introduce terms like point of view, simile, and metaphor (thank you, The One and Only Ivan), and to encourage them to tell a story using all of their senses and emotions (thank you, Locomotion). At the end of eight weeks we share our stories. These kids amaze me every single session. They are patient and kind, with us and with one another. It’s one of the most optimistic, inspiring places I’ve ever experienced. DS: What do you hope that readers of Sidetracked who do not have ADD will take away from your book (besides an entertaining read)? DHA: I hope the book makes readers think about giving other people a chance — and giving themselves a chance. ADD is just a part of Joseph. There are so many quirks, differences, and talents that make each person unique. Joseph is more self-aware than most kids, and maybe readers will look at their own challenges, try to understand them, and even laugh a little bit. I hope they get the message that you can see humor in just about any situation. I also hope that readers think about society’s expectations of gender, physical appearance, and success. And yes, I hope they are entertained, and finish the book smiling. Sidetracked by Diana Harmon Asher (Amulet Books, Hardcover, $16.95, 9781419726019) On Sale Date: August 22, 2017.